SkyNet customers include healthcare providers, schools, hotels, universities, municipal governments, and industrial enterprises. Whether it is for increased capacity, to support mobile voice applications, or to more effectively serve diverse groups of end-users, each of our clients have discovered the leap in ease of ownership and uncompromising performance that are the hallmarks of SkyNet’s technology. 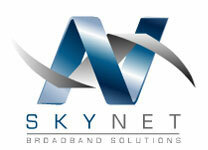 SkyNet’s WLAN is designed with the unique and demanding requirements of your industry in mind. Compared to other solutions in today’s marketplace, the SkyNet Interference-Free architecture enables dramatically easier WLAN deployment and lower total cost of ownership, while achieving a generational leap in capacity, coverage, seamless mobility, and security. The end-result is highly scalable WLAN infrastructure that delivers campus-wide triple play services with the dependability of a wired network. SkyNet offers unmatched value in the marketplace while offering a robust and scalable wireless solution for all your voice, video, and data applications. In today's technology-driven world, obtaining immediate and constant access to data is an essential part of life. Business owners are recognizing the added benefit of providing round-the-clock network access to their employees and visitors. Individuals are embracing the ability to tap into work or home networks without using a slow, dial-up process. A wireless network--designed, engineered, installed, and maintained according to the unique requirements of enterprise and building owners--allows network users to access data regardless of physical location within the facility. In addition to the added convenience for users, a wireless network can save enterprise and building owners precious time and money on future system enhancements and upgrades. Installing a wireless network does not require the traditional cable-pulling techniques of the past. Ultimately, a wireless network takes less time to implement and is more cost-effective to maintain. A wireless network will provide your clients and employees, regardless of their physical location within your facility, constant access to important network data. In a world where people need information in an instant, a wireless network is a cost-effective and intelligent solution to meet the needs of today while preparing for the demands of tomorrow. As a turnkey solution provider, SkyNet broadband Solutions can engineer, design, install, and maintain your wireless network in adherence to the proper guidelines. Our vendor-neutral status and knowledge of best-in-class products from leading industry vendors gives us the know-how to update your network to today's standards. And our solutions are designed with your needs and business goals in mind. SkyNet uses Air Magnet to ensure that your 802.11 site surveys are an accurate, real work depiction of your functional wireless experience. Today's wireless service providers, managed-service providers, and network infrastructure vendors all consider site surveys a mandatory and vital part of the wireless LAN deployment process. AirMagnet has addressed these requirements with the industry's most accurate WLAN planning solution. This WLAN planning solution stands apart from other market planning solutions by enabling enterprises to collect live signal, packet and spectrum data during their site surveys. This allows enterprises to simulate and measure network performance in the most scientific way possible—with the most accurate depiction of a real-world user experience-which ultimately results in a better performing network. Whether talking to a client from a desk in the office, checking-in with a spouse while driving through a tunnel on the way home, or saying a final farewell to family while waiting to board a vacation flight, suddenly losing cellular connection due to lack of network ability is frustrating, sometimes costly, and always damaging to productivity. For most cellular users, the need to consistently contact and stay in touch with business professionals or family members is becoming an increasingly important priority when selecting a cellular service provider. Users want stronger coverage everywhere, including office buildings, shopping malls, airports, tunnels, and bridges. And, while cellular providers struggle to meet customer demand for higher-quality coverage and to reduce customer churn, commercial building owners seek better options to retain top-notch clients who require nothing but the best in network capability. With our complete, turnkey cellular solutions, SkyNet Broadband Solutions helps building owners, businesses, and cellular providers meet the complex communications demands of today’s users. Our experience with and knowledge of products from leading industry vendors allows us to select and recommend network components appropriate for your cellular requirements. As a vendor-neutral solution provider, our goals are to design, engineer, install, and maintain the cellular network that will work best for you. SkyNet used In Building Cellular products that offer the following benefits ….